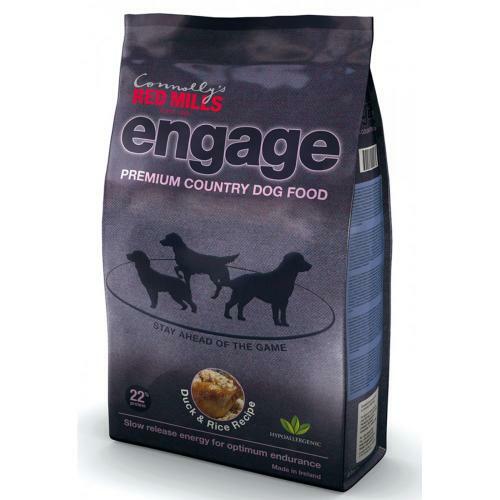 A complete nutritional meal the Engage Duck and Rice recipe from Red Mills is a superior choice for sustained health and vitality. A hypoallergenic recipe the high quality duck is a highly digestible source of nutrition and is ideal for dogs which may have suffered from stomach and skin problems. The rice slowly releases energy keeping your dog calm and alert as they work throughout the day. And to aid fast recovery the meal includes glucosamine and chondroitin for joint care.